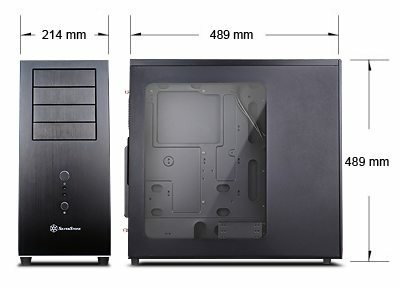 Although SilverStone says that this case sports many of the design features as its older sibling, the TJ04, I am hard pressed to find too many similarities. To get some of the basics out of the way… The TJ04-E ships in two flavors. The SST-TJ04-E and the SST-TJ04B-EW (with side panel window). 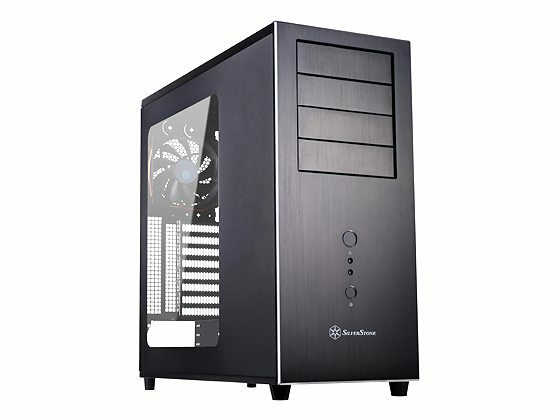 The case is manufactured from steel and aluminum. 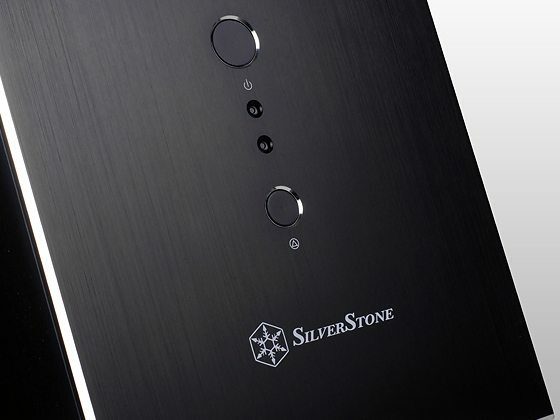 Every surface of the case is painted in a beautiful black (except for the anodized brushed aluminum face) and the case weighs in at 9.6 kg. There is room for up to eight 3.5 inch hard drives, six 2.5 inch hard drives, four 5.25 inch hard drives, and a total of six 120mm cooling fans. All this is packed into a case that measures 214mm(W) x 489mm(H) x 489mm(D). The outside of the TJ04-E is definitely something to look at. The thick (7mm) aluminum bezel gets the drool going and beveled edges gives it that extra rugged appearance. The TJ04-E has removed the external 3.5 inch drive bays in favor of some larger power and reset buttons. 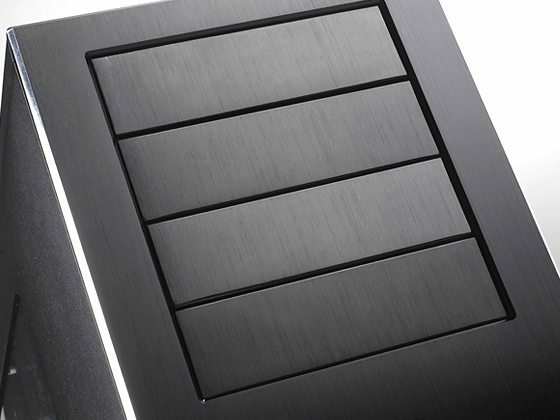 The 4 5.25 inch drive bays are ordained with thick aluminum bay covers. The logo has been moved to the forefront of the face and the front I/O ports have been moved to the top. The Power and Activity LEDs have been moved right between the Power and Reset buttons.